The first piece is done on the workstation itself, and is just overhead for doing this in a completely virtualized environment. This is the analogue of using a private secured backbone for administrative backbone when using physical machines. Configuring the network used to take editing the Network XML file, but now you can deselect the DHCP checkbox in virt-manager when creating a new network. 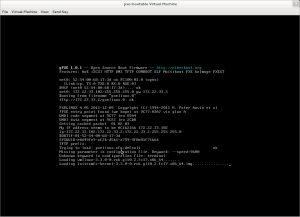 Here is what mine generated in /var/lib/libvirt/network/nodhcp.xml. This one has a bridge defined, which is probably not what you would want for your server, as this network should not see the outside world. Still the device is useful if you want to run wireshark on it to debug booting issues. Create the server as a VM, and provide it Network interface on both a publicly accessible as well as the Private network defined above. 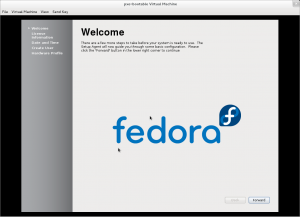 Install Fedora (I used F17 Alpha) as per normal. Dracut is a great tool for people that need to control the boot procedure of their machines. It has a module called Livenet that we use to specifying that the root file system should be downloaded an unpacked in a directory. In order for that to work, we need the dracut-network package specified on the yum line above. THen, we need to generate a new initial ramdisk (initrd) with the livenet module enabled. 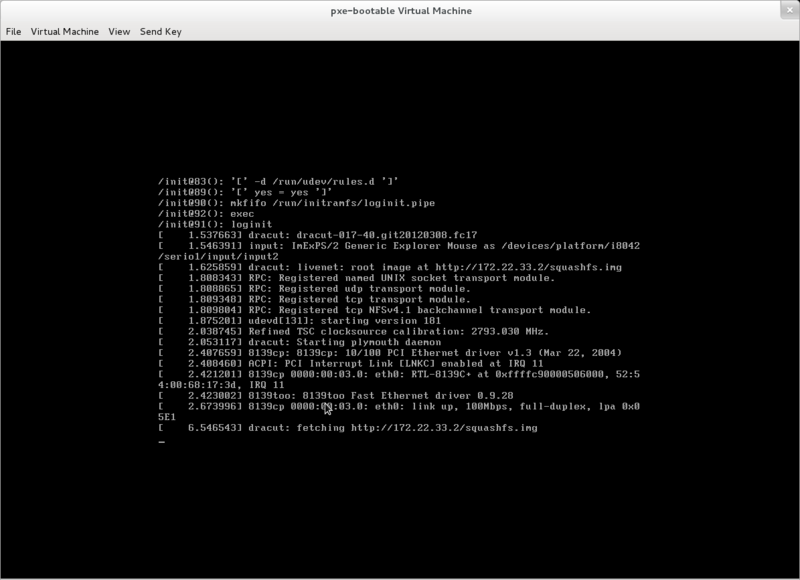 Syslinux is our boot loader. 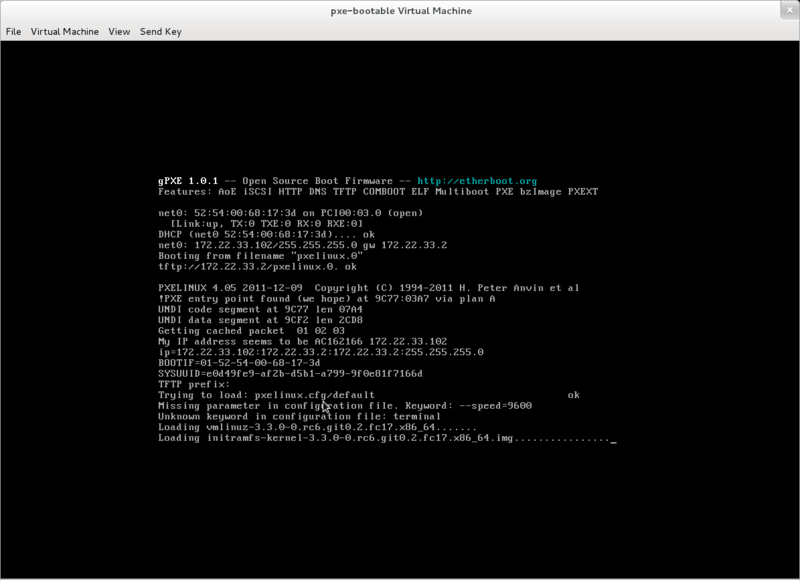 Syslinux is more than a tool to run an installer (although it does that quite well). Here, it is a program that is configured much as for a kickstart, but it will instead switch to running the kernel instead of Anaconda. The most interesting value here is root=live:http://172.22.33.2/squashfs.img which is what activates the Dracut module in the initrd to download the rootfs via http and expand it into the new root directory. I know that a couple of these values are incorrect, and I will update when I have them straight, but this will work. But that doesn’t seem to set the user. At this point you can restart both services. Make sure that dhcpd runs at machine reboot as well. 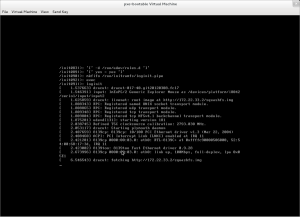 The final step is to setup a bootable image. In this case, we use the same thing that the live CD uses, which is packaged inside of a squashfs image. I did this on my desktop to keep from having to have too big a file on my Server VM. As it is, this is still close to a 588MB image. I have to admit, I had already gotten the system to relable the file by the time I tested this, I suspect upon a reboot, so this last step might not be necessary. Thanks to Will Woods for cluing me in about squashfs and livenet, Harald Hoyer for general Dracut help, and Ray Strode for help with debugging why my console wouldn’t echo. You don’t have to worry about the owner of the file as long as it is readable by the process that is going to serve it (e.g. tftpd or apache). So a restorecon -r on the directory is sufficient, but most likely unnecessary as creating the file in that directory will set the context correctly as shown by your screenshots.